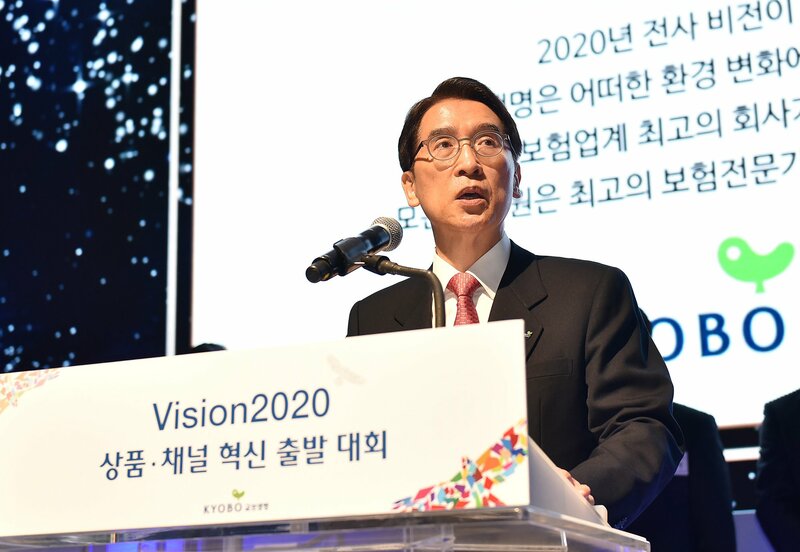 Chairman Shin Chang-jae of Kyobo Life Insurance Co. in his New Year’s address on Jan. 2 said Kyobo has to speed up digital reform centered on customers. “We should digitalize the entire operational processes from the subscription of insurance policies, maintenance and to payment to make the operation effective for providing the segregated customer services with the application of new digital technologies,” the chairman said. He said the prime example of the digitalization has been the smart insurance money payment request service. Customers don’t have to make insurance money payment requests for their hospital expenses under 1 million won, as the payment is made by the insurance firm, which makes the insurance payment requests on behalf its policyholders and pay for them. Kyobo Insurance, in cooperation with Korea Post, has been test-operating the new insurance money payment system at seven medical clinics and hospitals around the country for its employees and the employees of KP. The insurance firm plans to expand the number of hospitals to 20 in the first half of the year and open the system to its entire customers eventually. The insurance firm has launched a service to forecast sicknesses that its customers may come down with in the near future, in cooperation with KISA with the title of “Teun,Tuen (Healthy) Entire Life” service, the first new sickness prediction service with the application of the Insuretech, and has been running it. The service predicts the kinds of illnesses that its customers may come down with in the near future with the application of Blockchain and algorism, a digital healthcare service that can predict the illnesses such as diabetes that may afflict its customers in the next three years and recommend the appropriate insurance policy for the illness. In recent years, Korea has built itself something of a reputation in the IT world. Although much of this stems from the fact that some of the world’s biggest consumer electronics companies are based here, it's the country’s internet speeds that really turn heads. Average internet connection speeds in Korea are over 20 percent faster than those in any other country. The country’s 3G network is the fastest in the world, and offers over 98 percent coverage. Many visitors rave about the fact that not only can you get phone coverage on public transport in Korea – even on the subway – you can also connect to free Wi-Fi. A few key factors helped speeds get as high as they are. The first is the country’s population density. With 522 people per square kilometer, and 83 percent of the population living in cities, it's much easier to connect a nation like Korea than, say, a gigantic country like Canada or the United States. The government has also helped. In the West, central governments have taken a laissez-faire attitude to their Internet Service Providers. Meanwhile, Korea’s government, even back in the 1990s when the net was in its infancy, has been very hands-on with ISPs. Incentivizing the spread of the web and subsidizing connectivity research has been at the heart of the Korean government’s technology policies. This effort has borne fruit, but fans of fast internet are already chomping at the bit in anticipation of what is coming down the pipelines. Three years ago, one of Korea’s biggest ISPs unveiled a 10 Gbps fiber optic broadband system that offers download speeds that are up to 100 times faster than today's standard broadband, and which will allow users to download a 1 Gb file in under one second. 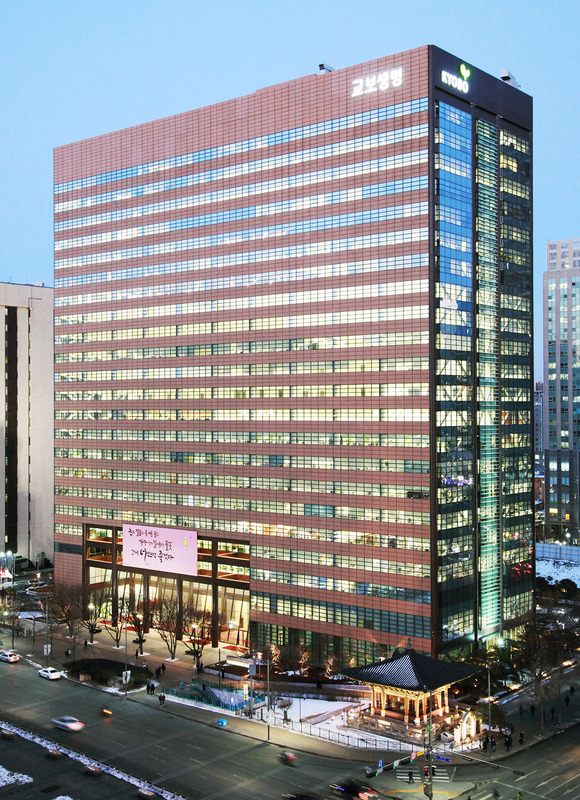 A view of the building in Gwanghwamun in downtown Seoul where the life insurer and its affiliates have offices.